The attitude toward short story collections has been gradually shifting among readers. With the growing number of books being read on mobile devices, people are discovering that brevity can actually be a positive element in the pieces they’re reading. And well-known authors such as Nobel Prize winner Alice Munro, inaugural Folio Prize winner George Saunders, and winner of the 2013 Man Booker International Prize, Lydia Davis, are turning their attention to writing shorter works. 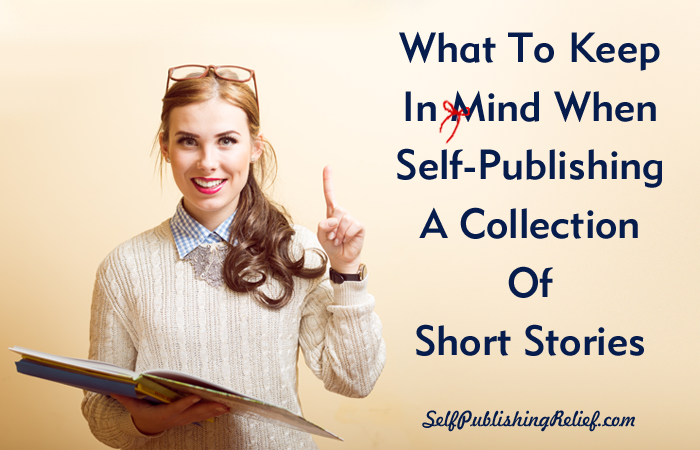 But since traditional publishing houses have been slow to jump on the short story bandwagon, you may want to self-publish your short story collection to get your work out there now. Pro: Self-publishing a short story collection is a great idea if you want to share your stories with friends, colleagues, and relatives. You can print a limited numbers as gifts, and you may be able to get your book in local bookstores or gift shops. Con: Promotion and distribution beyond that will be more difficult, as there is still a limited market for collections from unknown authors. Unless you’re a famous author, don’t expect your collection to fly off the shelves of Amazon or Barnes and Noble. Pro: You’ll have full control over all aspects of your self-published book in terms of marketing, story arrangement, layout, cover design, editing, and quality of materials. Con: You’ll have full responsibility for marketing, story arrangement, layout, cover design, editing, and quality of materials—and any associated costs. 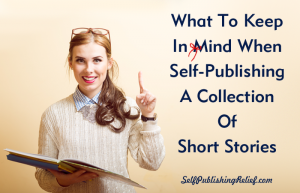 Pro: Your short story collection can boost your author platform by generating interest in all your writing projects, whether they’re self-published or being submitted to agents and editors. Include excerpts from your collection on your web page, with a link to your sales page. Con: Once you’ve self-published a short story, literary magazines and journals are unlikely to be interested in accepting a previously published piece. (See What Is Considered Previously Published Writing?) Of course, you can keep submitting to literary journals—just offer brand-new work! It would be nice to have a rule book that lays out exactly how to sequence your short story collection, but the answer is different for each writer. You may choose to include only those stories based around a central theme, like environmentalism or the supernatural. There may be a recurring character or setting or emotion that ties them all together, or you may have a collection of stories that cover a variety of subjects. Start off strong with a lively, compelling story, and give the reader a sense of what’s coming next in terms of style, theme, and quality of writing. The first story will set the tone for the rest of the collection. Arranging the remainder of the collection will depend on the types of stories you want to include, and the chemistry you develop between them. There may be a slow evolution of character, realization, or growth, culminating in a climactic piece. The last story should be as powerful as the first. The stories may seem random and unrelated until the end, when the reader sees the common thread woven throughout; or the stories may be related through a single image, character, or metaphor that appears in each one. If only two or three stories feature the same character(s), group these together to create a connection. If two or three differ radically from the rest in terms of style or theme, consider sticking them in the middle of the collection—the reader may appreciate the change of scenery but won’t lose the overall pattern. You are not obligated to start with the title story—nor are you obligated to choose a title for the collection from a specific story. It may be tempting to simply order the stories alphabetically, but this method does nothing to create a sense of cohesion for the reader. Check out these collections for inspiration and guidance—for self-publishing advice, you can always call on us! QUESTION: What short story collection has inspired you the most? Readers of short stories are interested in reading stories related to their Culture and Traditions and written in their country’s environment. They seldom read stories related to other cultures or environment. This narrows the reader’s market.